This week we received our second harvest from the rice field we purchased as waqf. The fields take 5-6 months to produce a single harvest. 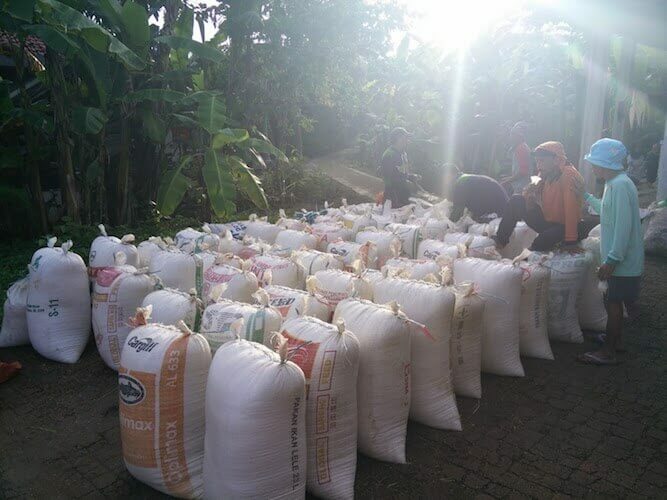 Our volunteers worked hard to divide the rice into equal sized bags, search our community for the most needy to prioritize them and then distribute today to mostly widows and elderly in need. We will be dividing the harvest to distribute in monthly distributions between the harvests to provide stability to the families we help. Continue to help those in need by making a donation today at www.ussunnah.org/campaigns. This entry was posted in News and tagged Endowment, Long-term solution, Rice field, Waqf.